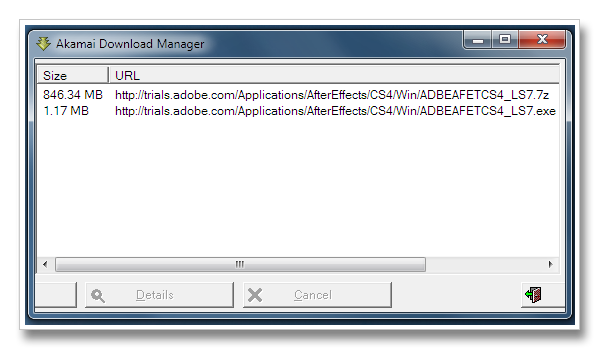 Found one file extension association related to Akamai Download Manager and 1 file format developed specifically for use with Akamai Download Manager. Akamai's Download Manager is a desktop software application that enables consumers to download content quickly, easily and reliably. It provides for more effective, efficient file downloads than is normally available in browsers, especially for large files. Its key features includes its ability to resume interrupted downloads, its simplicity to install, and its compatibility across several Operating System (OS), web browser, and language combinations. If you need more information please contact the developers of Akamai Download Manager (Akamai Technologies), or check out their product website.